saw any action, the war ended. He was able to continue his studies uninterrupted, performing well enough to earn a research scholarship for a fourth year. Hilton published his first novel, Catherine Herself, in 1920, while still an undergraduate. After Cambridge, he became a freelance journalist, writing chiefly for The Manchester Guardian and reviewing fiction for The Daily Telegraph. Under a pseudonym, he wrote the detective novel Murder at School, set in a school called Oakington that was modeled on Leys. A job with The Irish Independent out of Dublin, secured his financial independence and enabled him to produce several more novels during the twenties. In 1931, he enjoyed his first popular success with And Now Goodbye and was able to take up writing fiction full time. 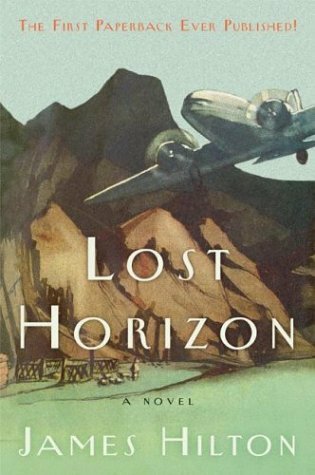 But it was Lost Horizon in 1933 that secured his reputation.The book won the Hawthornden Prize and was made into a successful film in 1937, directed by Frank Capra and starring Robert Coleman and Jane Wyatt. On December 7, 1933, The British Weekly published Goodbye Mr. Chips as a special insert. The story was then sold to The Atlantic Monthly, proving popular enough to warrant a hardcover edition, published in England the following October. Hilton had become a best-selling author. In 1935, after the success of Goodbye Mr. Chips, Hilton was invited to Hollywood to work as a screenwriter. He won the Best Screenplay Oscar for Mrs. Miniver in 1942; actress Greer Garson also earned a Best Actress Oscar in the title role. Hilton also wrote screenplays for Camille, Foreign Correspondent, Forever and a Day, The Story of Dr. Wassell, The Tuttles of Tahiti and We Are Not Alone. Other screenwriters adapted his novels, including Knight Without Armour, Lost Horizon, Rage in Heaven, and Random Harvest. During his Hollywood years, Hilton continued to write novels, including Nothing So Strange and Morning Journey. He was a member of the governing board of the Academy of Motion Picture Arts and Sciences and vice president of the Screen Writers Guild. Hilton also served as the narrator for Madame Curie and the adaptation of his novel So Well Remembered, in addition to hosting CBS Radio's Hallmark Playhouse from 1948 until 1953. The following year, Hilton died of liver cancer.